Good Governance: Another Kind of Legitimacy? 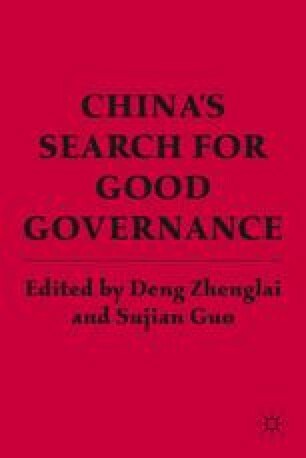 In recent years, good governance has emerged as an increasingly important theoretical field in China, and it has also attracted the attention of different disciplines, such as politics, political philosophy, sociology, and public management. The concept of good governance is very complicated, with various meanings, and it is applied in international society in state and private corporations. Here in the discussion of good governance, two limitations should be mentioned: first, the object of study is the state, rather than international society, local governments, corporations, or NGOs, etc. Second, what we discuss here is the political meaning of good governance, rather than its meanings in the fields of management or sociology.